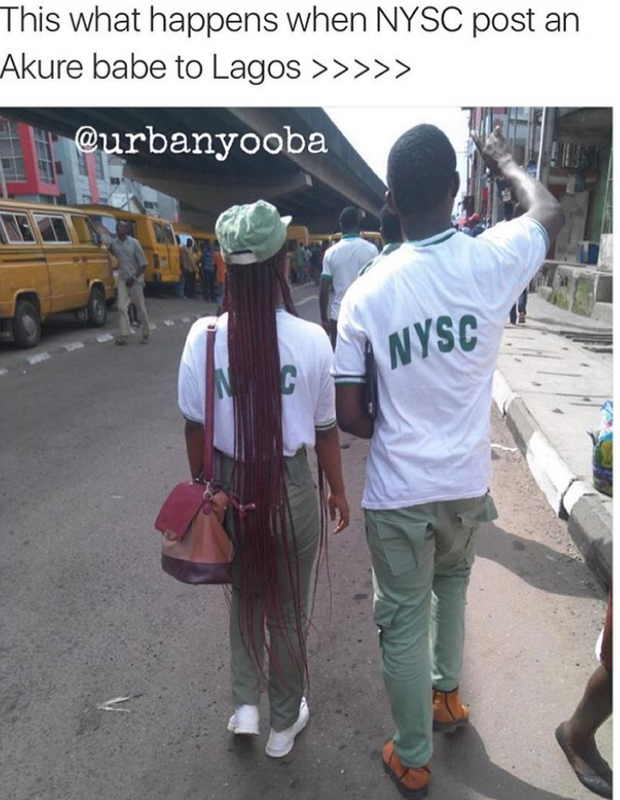 Pics of the day... moment NYSC post an Akure babe to lagos. She would Forcefully make herself an handbag to whoever is going to be showing her around Lagos and trust me that moment is always awkward and frustrating to the person doing her the favour of showing her around lolz... who can testify to this situation?? ?